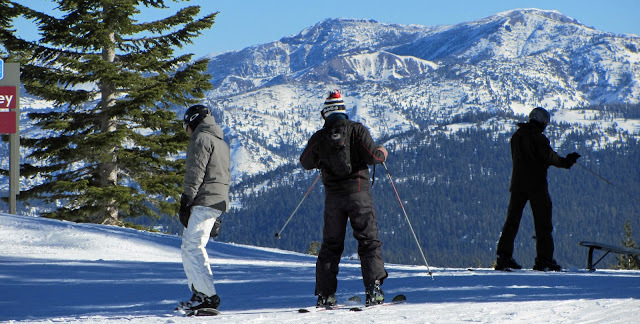 The Sierra Sun is reporting that an 8 year-old boy fell out of the Eagle Rock Chair on Wednesday February 6. The boy fell 25 feet after raising the safety bar to unload. He was riding with his father when the accident occurred. Members of the ski patrol witnessed the fall. The boy was transported to Tahoe Forest Hospital in Truckee, where he was released from the hospital that evening. A boy fell to his death from a chairlift at Sugar Bowl last season. In this tragedy, the 7 year-old fell 60 feet . Sugar Bowl has now instituted new safety measures for children using chairlifts. Training for employees and guests is the primary safety measure. Additionally, lift operators are now required to lower safety bars for young riders. Sugar Bowl also installed webcams to monitor the boarding process. An avalanche at Squaw Valley this season knocked two people out of a chairlift. They both survived the fall and avalanche. Maybe it's just me, but I put the bar down and wear a helmet. I won't stop skiing through the trees though.